I have adopted the practice of documenting my journey and celebrating my successes - large or small. February: Launched my aerial videography service by creating a promotional trailer for a local company. January: Began my full time career as a photographer by hosting the official photoshoot for Mas Jamboree 2019. August: REBIRTH was aired on widely popular regional television network, CaribVision. July: Released my third timelapse film, "REBIRTH" with original lyrics by Golda. March: I was contracted by The New York Times to capture a series of photos that were eventually published in print and digital editions of their newspaper. November: Released my second timelapse film, "Dominica on the Move II". October: Released my first timelapse film, "Dominica on the Move". 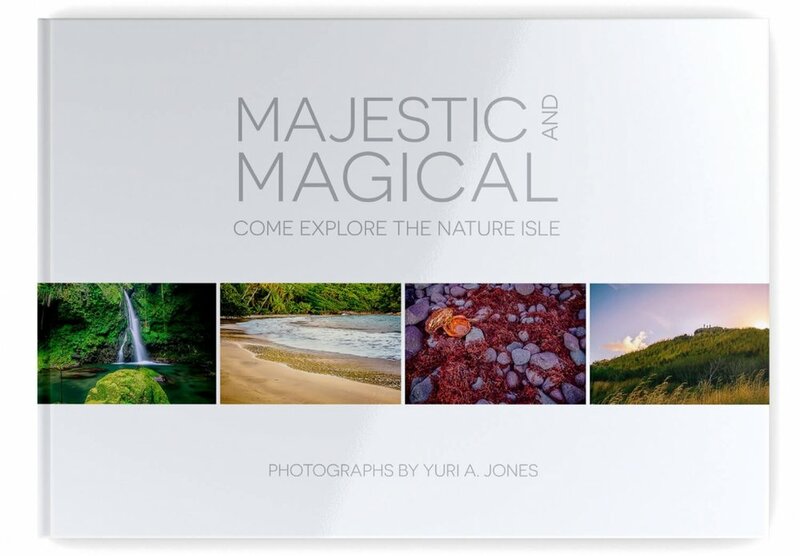 August: Officially launched of my photography book, "Majestic and Magical: Come Explore the Nature Isle". June: Won the Visual Arts Award at the 2017 National Youth Council Awards. April: Discovered and began experimenting with timelapse photography. Here's one example of the Milky Way. November: Worked with Ken Guiste of Calibishie Cove and LaDana Drigo on a series of videos and images to promote the boutique hotel. September: Partnered with Range Developments to complete the funding of my first photography book. July: Received prominent mentions in travel media (Rum Shop Ryan and Caribbean Journal) for the fundraising of my photography book. May: Completed the design and layout of my first photography book. Launched a Kickstarter campaign to raise funds. December: Image was accepted and exhibited at the prestigious 10th FIAP Inter-Club World Photo Cup. May: Participated in the National Tourism Tradeshow and Cocktail.